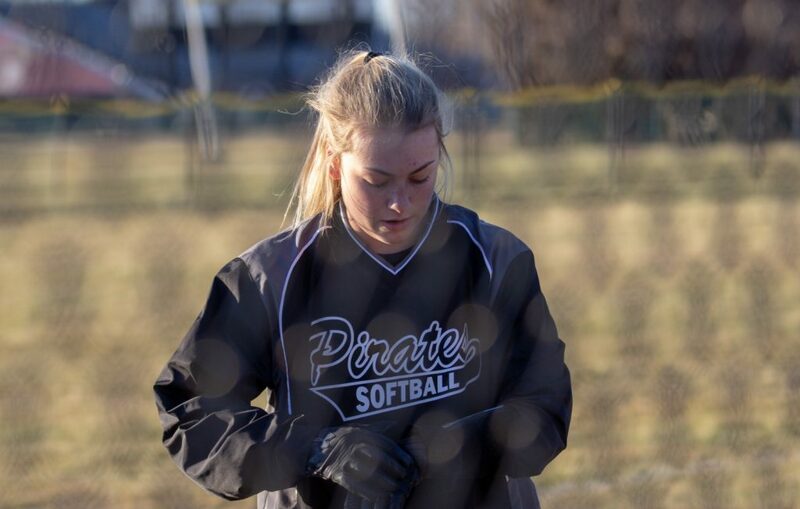 ELYRIA, Ohio – Rocky River battled its way back from an early two-run deficit and eventually worked its way into extra innings, but the Pirates were felled by Elyria Catholic, 6-5, on the final line score. That line score stretched out into an eighth inning. In the home half of that final frame, the Panthers earned the win on a walk-off home run. Seven innings prior, Elyria Catholic tallied four runs in the bottom of a six-run first in ning. A Catie Wolons single in the top of the second knocked in Megan McBride and halved the Panther lead. Both sides sported solid pitching and defense over the middle innings. 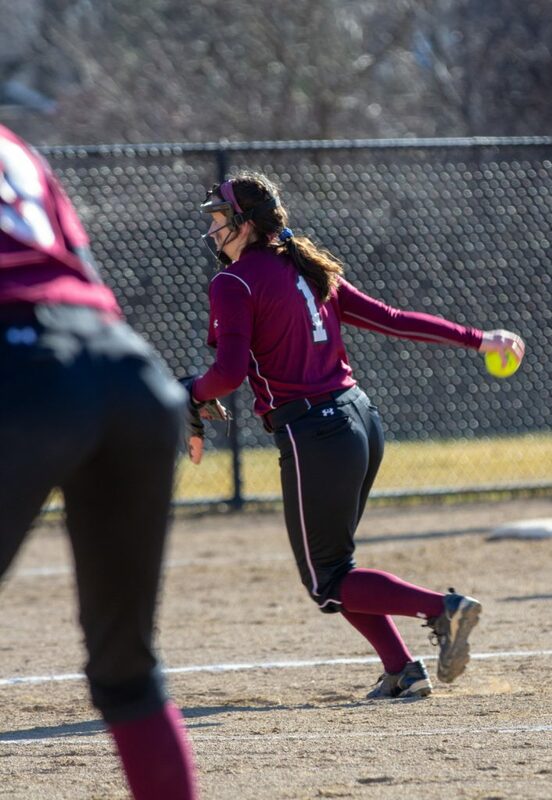 The Rocky River infield turned double plays in both the third and fifth innings, and reliever Marissa Smiley hung zeroes in four straight innings, from the second through the fifth, keeping the Pirates within one (4-3) all the while. Wolons, Smiley, Kelsey Murphy and Katie Mommers ignited the River offense in the top of the sixth. Smiley tripled as part of a four-hit barrage, and the Pirates plated a pair to overtake the Panthers, 5-4, on the scoreboard. But the home nine countered with a solo run in the bottom of the sixth. The Panthers would win it in the eighth after a scoreless seventh. EC pitching didn’t yield as much as a base runner in getting the final seven outs of the game. For the game, Rocky River (3-5, 1-1 Great Lakes Conference) out-hit the Panthers, 10-9. Wolons (2-for-4, run, RBI, walk), Smiley (2-for-4, two runs, RBI, walk) and Mommers (3-for-3, RBI) combined for 7-of-River’s-10 hits. The Pirates are slated to continue their GLC season with a Friday home game against Bay (4:30 p.m., Pirate Field).